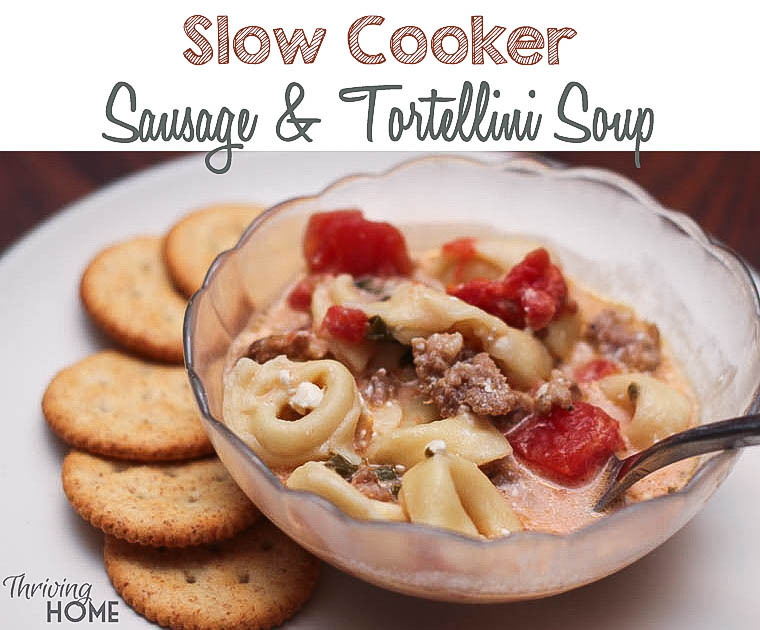 Slow Cooker Sausage & Tortellini Soup–Simple Creamy Goodness! Am I the only one who is a bit skeptical of slow cooker recipes? 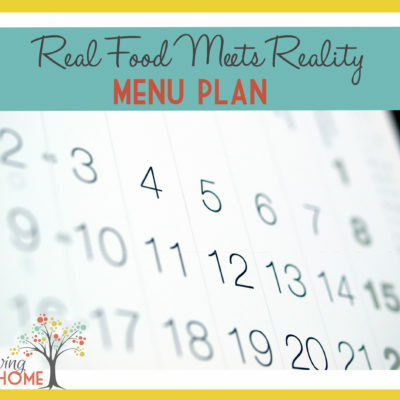 While we do have some fabulous, healthy slow cooker recipes in our recipe index, I for sure have tried MANY others that have turned out pretty bland or dry. My husband is especially skeptical of crock pot recipes. I think I’ve scared him one too many times with the promising smell of dry chicken. 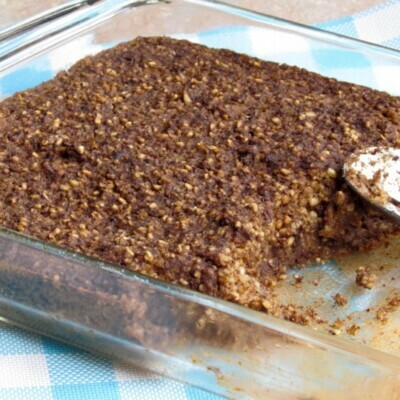 While this recipe may not score the highest in the “healthy” department, it for sure gets high rankings in the, “I’m a busy person who needs a quick and easy recipe that my family will like,” department. 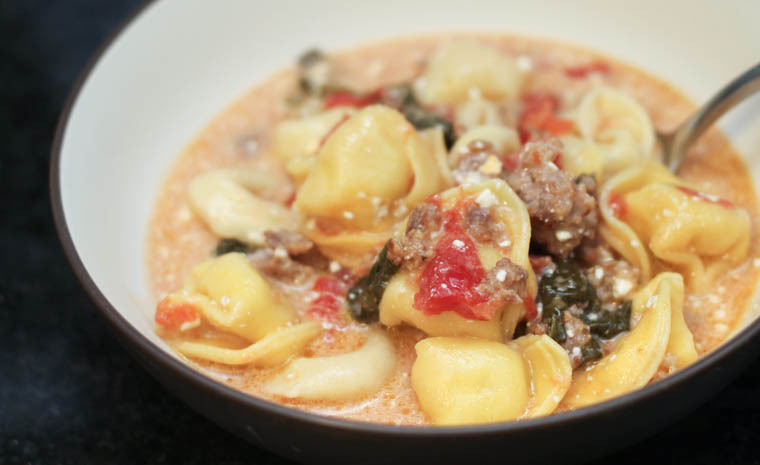 I also beg of you to not rule this recipe out because it calls for two cups of fresh spinach. It feels like a lot when you put it in but when the spinach cooks down, it is barely visible and easily sneaks into bites unnoticed. It’s also worth mentioning that the soup gets a bit creamer than in this post’s pictures. Some of my cream cheese hadn’t quite dissolved yet. While this didn’t affect the flavor, it might cause someone to ask questions. So, all disclaimers aside, this soup was great in my opinion. I’ll for sure be making it again. And then probably again. You get the point. 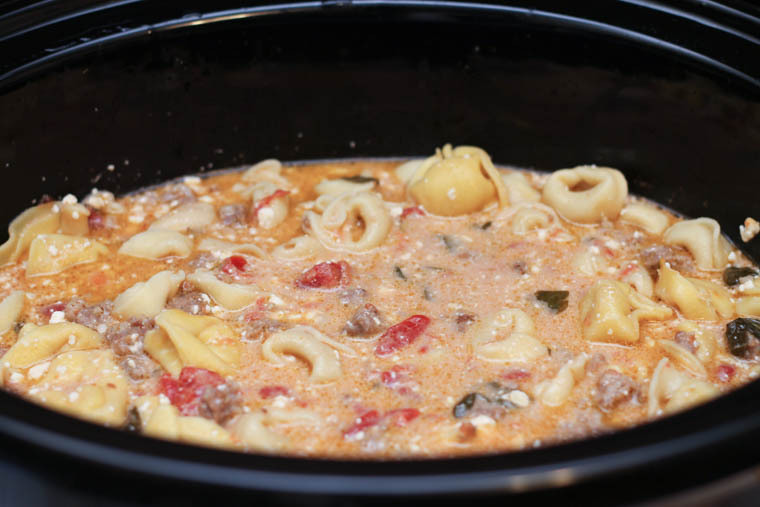 Slow Cooker Sausage & Tortellini Soup–Creamy Goodness! 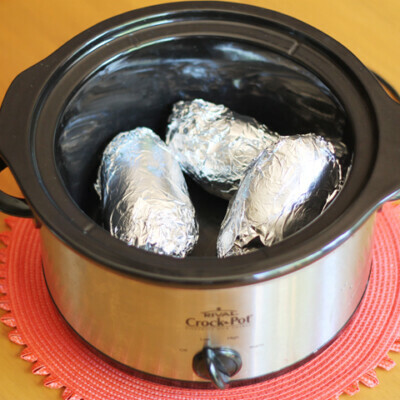 Finally, a slow cooker recipe that is SUPER easy to make yet packed with flavor. 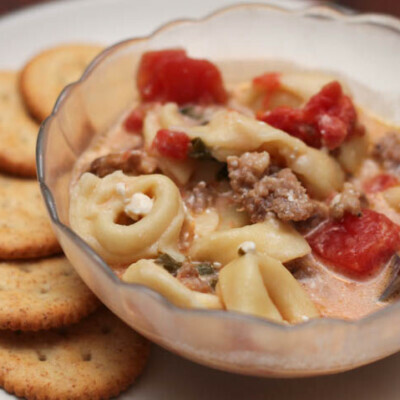 The creamy goodness of this sausage tortellini soup is a win with all ages and makes for great lunch leftovers. Over medium heat, brown the sausage in a skillet until there is no more pink showing. Add the sausage, spinach, tomatoes, chicken broth and cream cheese into a standard sized slow cooker. 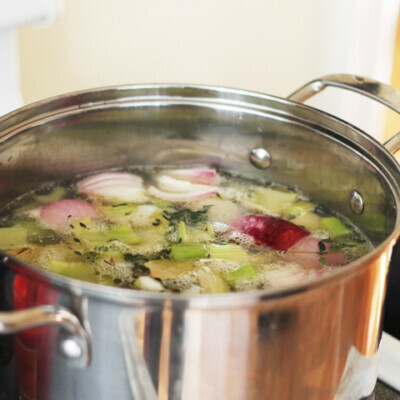 Cook on low for 4 hours, stirring one or two times to help cream cheese dissolve. After about 4 hours, add frozen tortellini in. Cook for about 45 more minutes. Need quantities for chicken broth and tomatoes???? I just updated the recipe to make it clearer. Sorry for the confusion, Lee. My kids actually ate it! On purpose, without me nagging! Delicious, thanks for the ease and simplicity. I made this soup for Superbowl and I didn’t allow myself enough time to use the crockpot, so I cooked it on the stove. I did make the following changes, I heated the chicken broth and melted the cream cheese and then added the cooked Italian sausage (I used turkey) , tomatoes and spinach. I simmered everything for 3 hours. I added the tortellini in the last 30 mins. DELICIOUS.. my husband had 3 bowls!